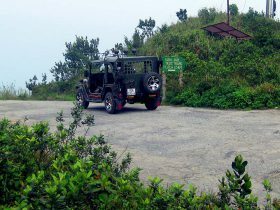 Get off the beaten track and leave the crowds behind with a true Vietnam Jeep tour. Experience natural beauty and traditional culture in ways that no one else can offer. Take a jeep into the beyond! Take the whole family with you on a perfect trip throughout the countryside – as passengers in a Jeep everyone can enjoy the adventure. Sit in our open top Jeep and enjoy the best seat in the house! Our experienced tour guides will explain everything you want to know about the local culture and everything beyond. private tours or big groups? We offer everything from small private tours to big groups – with plenty of experience in corporate groups, team building or family groups, we guarantee a fun day out! Central Vietnam is one of the most beautiful places on earth, offering stunning vistas, dramatic geology, a rich tapestry of history and thrilling adventure. Whether you are on a half day or a three day tour, every corner promises something unique to see. 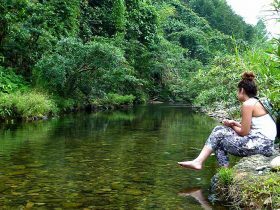 Hoi An Jeep Adventures takes you into the heart of central Vietnam where you will come to realise the true beauty of the country, its people and landscapes, immersing you in the culture and atmosphere of the land. For history buffs, witness the mystery and capture the history on the My Son Explorer tour. For a fun filled family adventure taking in magnificent jungle, see-forever vistas and intriguing wildlife, hop on board our Monkey Mountain Explorer tour. On our most popular tour Hill Tribe Village Adventures, you’ll climb mountains, meet ethnic hilltribes and overnight in stilted traditional houses. 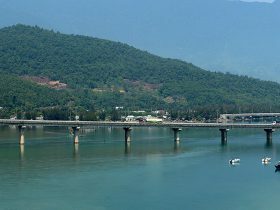 We can even turn the coastal commute between Hoi An and Hue into an exciting adventure filled with spectacular scenery and memorable sites, while the culinary curious will love both our Danang Food Safari or Hoi An Twilight Bites tour; whatever it is that you’re looking for, we can provide it. Pack more memories into two days than most people get in two weeks! We take you up into the less explored mountains of the Co Tu people. Those looking for a memorable holiday experience need look no further than Vietnam. A destination made famous by its history, breathtaking landscapes, incredible food and beautiful people. 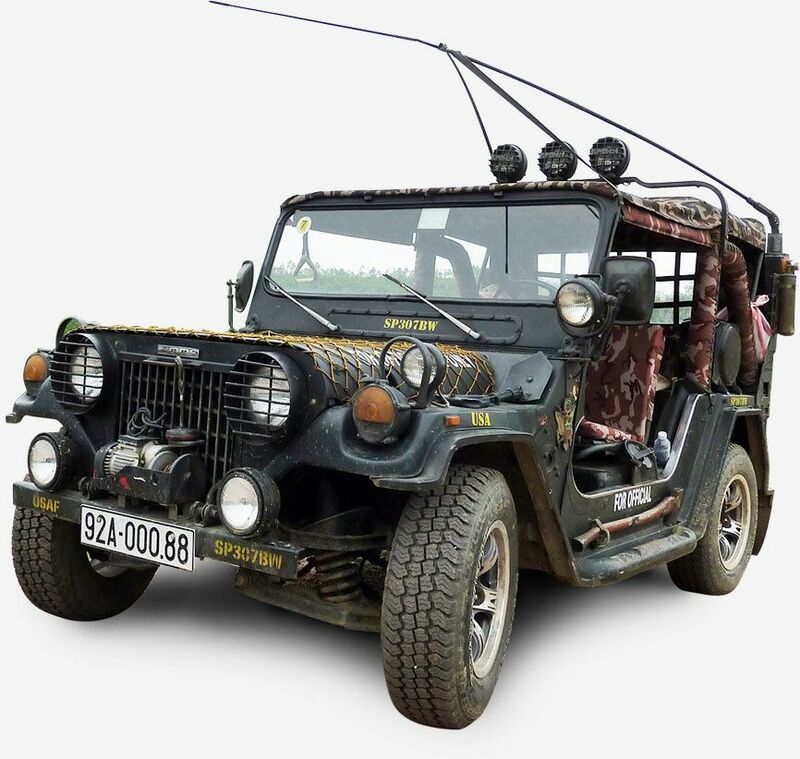 Hoi An Jeep Adventures has explored the length and breadth of the country, learning the stories behind the chronicled history and the local Vietnamese we meet along the way, allowing us to experience places and cultures largely untouched by tourism. Being based in the ancient port of Hoi An, famous for its laid back lifestyle, tailors and food culture makes us ideally positioned as a gateway into Central Vietnam. We provide once-in-a-lifetime memories of central Vietnam’s most stunning on and off-road destinations. Fun and safety are one and the same to us. Our jeeps are all meticulously maintained and our local drivers and guides know the roads like the back of their hands and love to show off their country sharing their passion for fun, adventure and a good story. We love being a part of the local community and championing responsible travel. We all share a passion for following the unknown trail and a love of sharing new discoveries to create a memory that you will carry with you for the rest of your life. We are also a fully registered legal travel company for International tourists, which means we can guarantee all our clients are fully covered under Vietnamese tourism laws. We loved the idea of taking our kids out for an adventure trip, giving them a glimpse into different places and cultures. 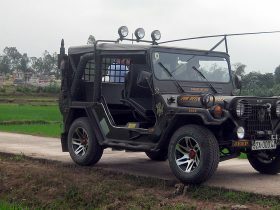 The military era jeeps are restored with comfort and safety in mind, and the tour was designed to provide plenty of breaks, making the most of the action along the way. Alongside professional, fully licensed drivers they provided a fun tour guide and a wealth of learning experiences that kept everyone happy, creating memories that both we and our kids will cherish for a long time. And we got a 30% discount for our 2 kids under 12. Just completed Rally Indochina with Hoi An Motorcycle Adventures and their partners Explore Indochina. The Rally raised much needed funds for the Blue Dragon Children’s Foundation — a cause very close to the hearts of the team in Hoi An. The guides, Mark and Glenn were fantastic—very knowledgeable and helpful—as were the excellent mechanics. The Company also runs day and multi-day trips — a great way to see Vietnam. Thoroughly recommended! Thanks guys! Awesome 2-day adventure. We are both 66 and had the adventure of a lifetime! Don’t feel intimidated by being a pillion, we were made welcome by all, and besides we saw more, we didn’t have to look where we were going our drivers did that. Must do! They are a very well sorted company catering for all level of riders and passengers and their attitude towards safety is spot on. 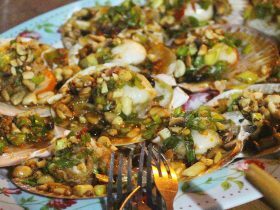 This is the only way to do rural Vietnam justice. Travelers of all ages will get something from their tours as well as just having heaps of fun. Highly recommend. Rediscover motorbikes with the family. Had a fantastic day — the kids (inexperienced riders) went on the back with the friendly, experienced locals riders. I hopped back on a bike after 25 years and it all came flooding back — why did I stop doing this? Highly Recommend. The thing I really like about this company is that it is not like other group tours. Everything is possible and can be changed. There is no rush, just feeling great on the Minsk and enjoying views. With other companies, you follow their schedule, with them, schedules can be changed and it is a lot more personal. Like and follow all our social media channels to stay in touch!